The Website is being fine-tuned at the moment but it will soon be ready for launch and as soon as testing is finished, everyone who expressed an interest will be receiving their invitation to join. Please publicise this on your blogs to help spread the word as much as possible. 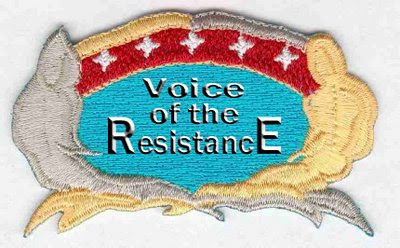 I'd just finally like to draw your attention to the URL for The Voice Of The Resistance above.